On Sale Now! 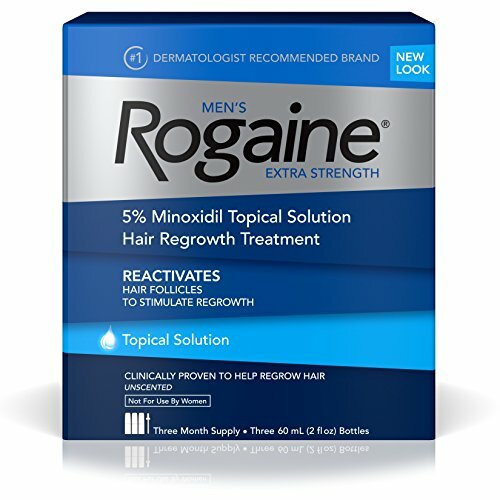 Save 5% on the Men's Rogaine Extra Strength 5% Minoxidil Topical Solution for Hair Loss and Hair Regrowth, Topical Treatment for Thinning Hair, 3-Month Supply by Rogaine at Beauty Sols. MPN: 2724341295038. Hurry! Limited time offer. Offer valid only while supplies last. View More In Hair Regrowth Treatments. If you have any questions about this product by Rogaine, contact us by completing and submitting the form below. If you are looking for a specif part number, please include it with your message. USDA Certified Organic Argan Oil by Eve Hansen - Moisturizing Pure Moroccan Argan Oil For Skin, Hair, and Nails - 4 Ounces.